USF recently reworked its new academic logo. The bull statue’s tail is shorter and the back hoof is now planted instead of arched. The differences are minuscule. But the reworking cost the university $8,000, which is honestly amazing when you think about it. $8,000 to draw basically the same thing, just with a shorter tail? That’s a pretty good return for a graphic designer. Not surprisingly, the reworking brought out another wave of anger toward the logo on social media — from Twitter to Reddit, everyone is complaining again. 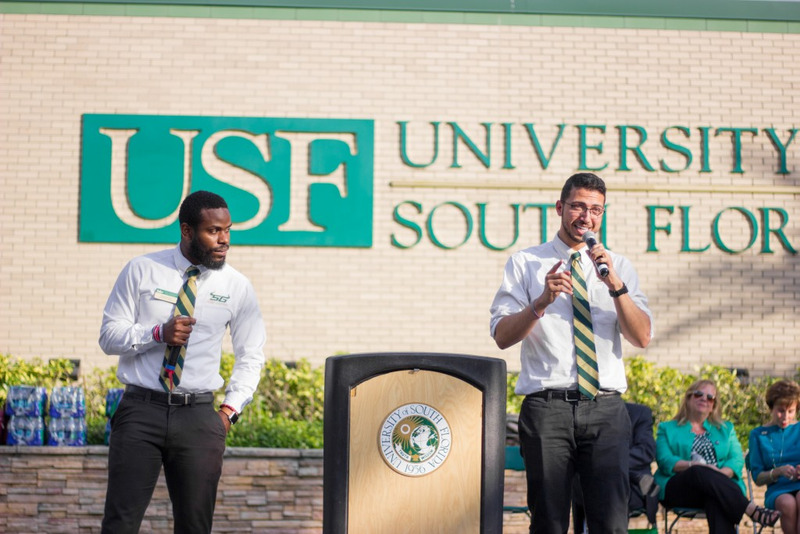 In addition to the revision, the logo initially cost USF $47,000 to have created. At this point, the logo’s cost is bordering on $60,000. Considering the cost, it is time for the complaining to stop and the community to finally embrace USF’s new, unique logo, because it’s not going anywhere. It’s also not that bad. The bull-statue emblem is a great logo because it incorporates features of statues on all three USF campuses — Tampa, St. Pete and Sarasota-Manatee — into one mark that’s meant to represent the unification of three distinct universities into one through USF system consolidation. Whether you like the idea of system consolidation or not, it’s law. All three campuses are going to have to learn how to play nice with each other and sharing one combined brand will help that. Now, is it the best logo ever? But it’s also not the Merrill Lynch knockoff that it continues to be accused of. If Merrill Lynch had a copyright on bull statues, that may be a valid argument. 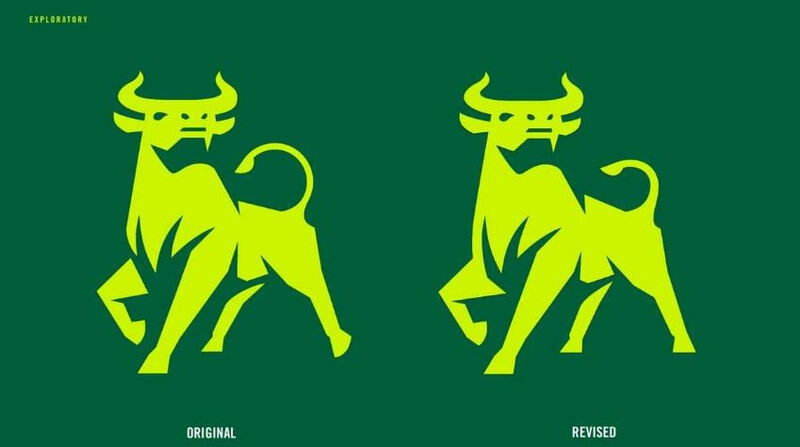 But this logo is based off actual statues at USF, not the Charging Bull on Wall Street. The font is a fair argument, at least when the initials USF are used. But when the full university name is spelled out, it’s clean and feels modern. The bright yellow, or “Horizon,” as USF is calling it, feels like it’s either meant to play off USF Athletics’ popular SoFlo line of apparel or is meant to call back to the logo prior to the outgoing, circa 2003. Either way, there’s a precedent for that particular color at USF. Although, the logo looks much better when it’s green on a white background, as it is primarily used on usf.edu. Change can be scary. Radical change is even scarier. This logo looks nothing like the previous academic logo nor the academic logos of other Florida universities. But USF is a different university, and that’s what’s great about it. Why not embrace USF’s uniqueness through a unique logo?